It may be cold outside, but the start of Spring Training is only about a month and a half away. Can’t wait till then? Well, the Minnesota Twins have some events scheduled this month that will provide you with a baseball fix. The first of these is Twinsfest, held January 23 – 25 at Target Field. This is the second year the annual event has been held at the Twins ball park. When I went last year, several areas of the park that are normally not open to fans on game days during the baseball season were open to the public. 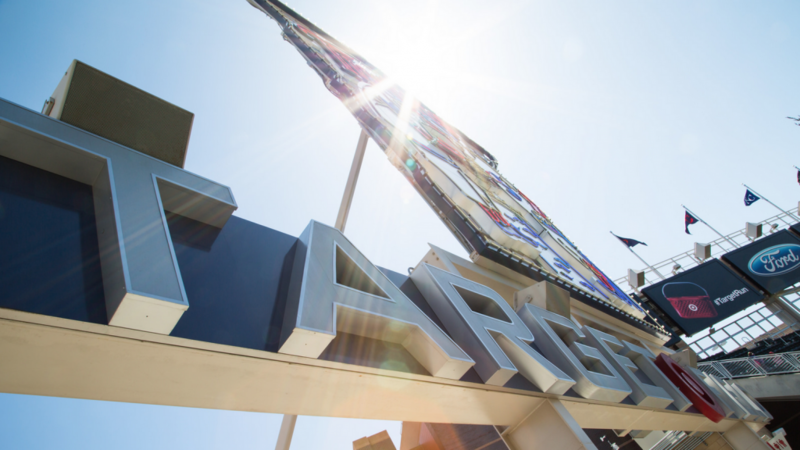 You could go on a self-guided tour of the Twins clubhouse. You could even go into the press box, however I don’t think you could go into the broadcasting booths themselves. I should have tried the door to the John Gordon Radio Booth, the radio booth for the Twins radio broadcasters (you know in case it wasn’t locked). There will be many things to entertain fans. Some of the events include: autographs with current and former Twins players, silent auctions, photo sessions, a sports memorabilia and collectors show and much much more, including things for kids. In fact, the favorite pastime for my dad and I at Twinsfest is to listen live to the players being interviewed on the radio. As you can see, there is something for everyone at Twinsfest. If you want to find out more or to purchase tickets, go to this link on the Twins website. But, this is not the only Twins related event you can attend to tease summer baseball. There’s also the Twins Winter Caravan. It’s one of the longest running team caravans in professional sports history. The Twins this year will be making over forty stops and it runs Jan 12 – Jan 22. The Twins will visit hospitals, schools, corporations and service clubs during the day with a program at night. I’ve been at the Twins Winter Caravan stop in Mankato at the Kato Ballroom several times over the years. What usually happens at the night stops is the players and broadcasters on that leg of the tour give a little program to the attendees. It’s an opportunity for fans to ask the players questions. After the program, fans have an opportunity to get autographs. 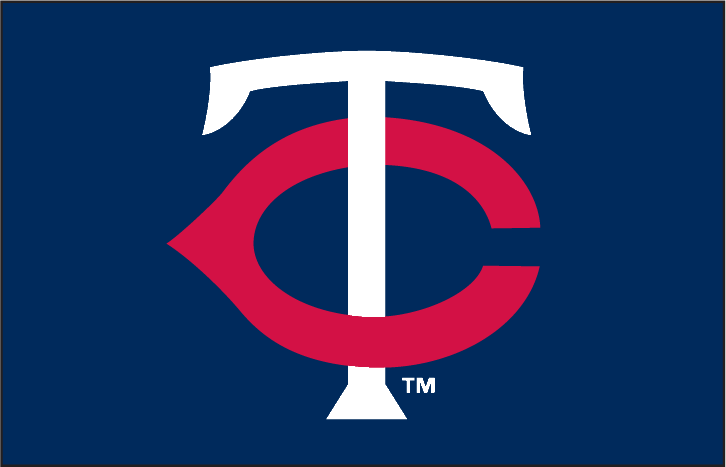 If you want to see the schedule of stops for the 2015 Twins Winter Caravan, click on the following link. 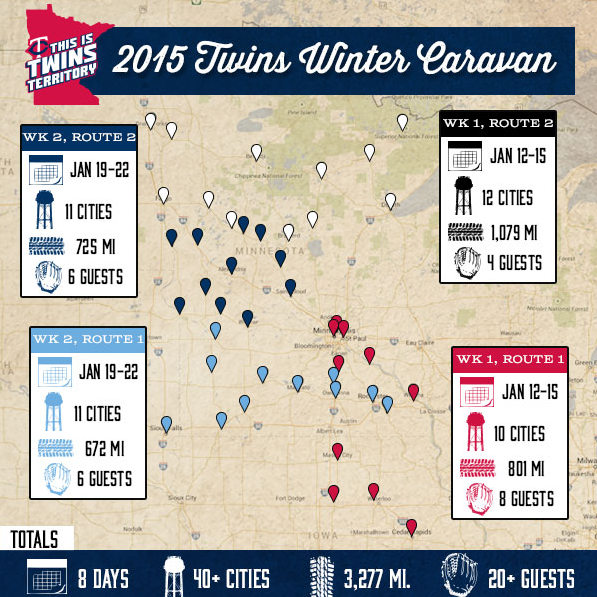 I think that the Twins Winter Caravan is the next best thing to Twinsfest. If you live outstate and you can’t make it to Twinsfest, then going to a night time caravan stop is the next best thing. Or, if you’re a baseball nut like me who lives here in the cities, go to a Twins Caravan event and Twinsfest. Can you feel warmer weather coming?